Destined to travel, Master Kawasoe became a JKA instructor to Taiwan and then pioneered Shotokan in Madagascar, before settling in Great Britain in 1974. 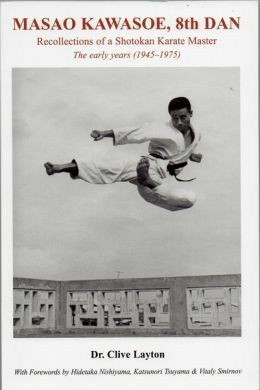 MASAO KAWASOE, 8th DAN, is a wonderful read by the foremost writer on Shotokan in the world, and describes one man’s dedicated journey along the Shotokan path.Told in the Master’s own words, and accompanied by a large number of historical photographs, the ups and downs of becoming a senior karate instructor are related with both frankness and honesty. A book on Master Kawasoe is long overdue … and the wait has definitely been worthwhile.